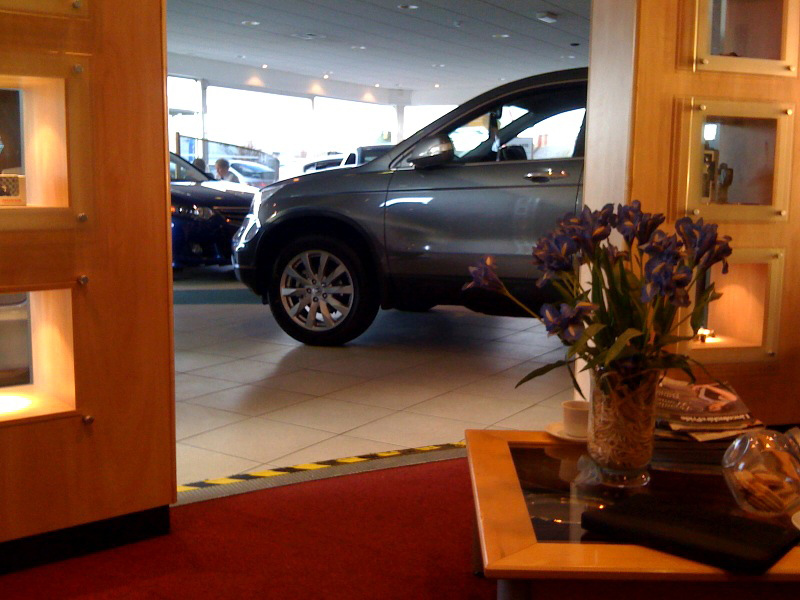 I spent some more time this afternoon sat in the Honda dealer waiting for my car. Ever since I got it last May we’ve had problems with the wipers. And today they replaced the last thing that can be replaced – the wiper motor – to try and get rid of the problem. All under warranty of course. So I’m hoping that this is not a view I’m going to need to see in the near future! 29/01/10: The view from the customer waiting area at the Honda dealer I use.